When I was a kid there were three things that were always consistent at Christmas time: an Advent calendar, my dad bringing home a Charlie Brown Christmas tree and making cookies. But these weren’t just any cookies, the recipe for these cookies came all the way from Sicily and they were called vacata. The baby scale on the kitchen table signaled the ceremonial mixing of Christmas vacata. My mom would weigh out the ingredients and mix by hand the large batch of cookie dough. 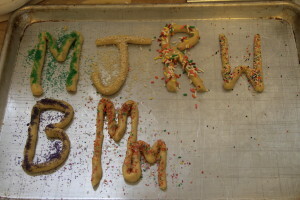 Then we’d roll out cookies: Some in the shape of our initials, others hand cut Christmas trees or candy canes. We’d roll our masterpieces in sesame seeds or dust with red or green sugar sprinkles. Once they emerged from the oven we’d tie ribbons around them and hang them on the tree. 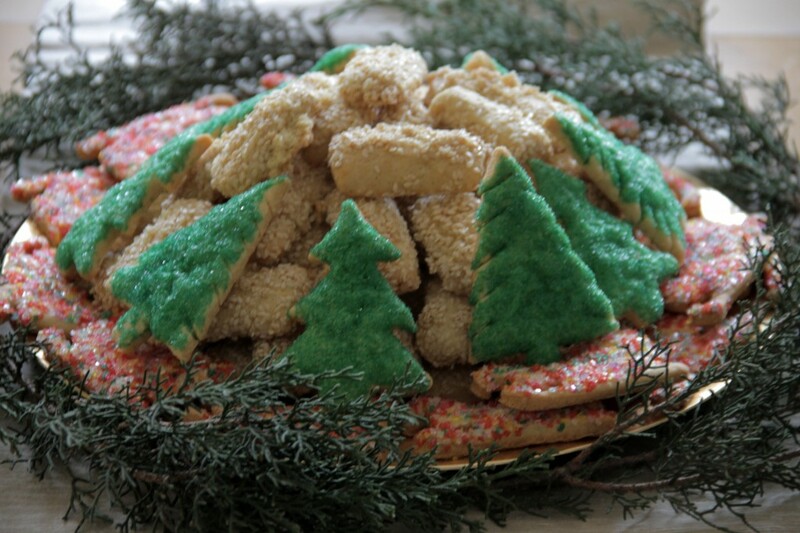 Theses cookies were always better on the tree or dunked in milk since they were hard and not too sweet. Alas, we haven’t made these cookies in decades. 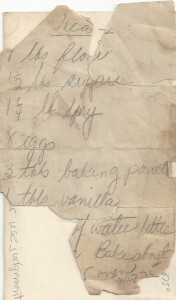 Yet for the last ten years I have been looking for my mom’s Christmas cookie recipe. Each year I’d unsuccessfully comb her kitchen looking for that sacred piece of paper that would reveal the secrets of vacata. The first place I looked, of course was where her Betty Crocker Cookbook stood for some 40 years. No book. No luck. The vacata cookie recipe became my holy grail. On my last visit to New Jersey I once again scoured my mom’s house for the recipe. As luck would have it, I was looking for something in the back room, or as we like to call it “the black hole” and came upon an old index card box. I opened the lid. 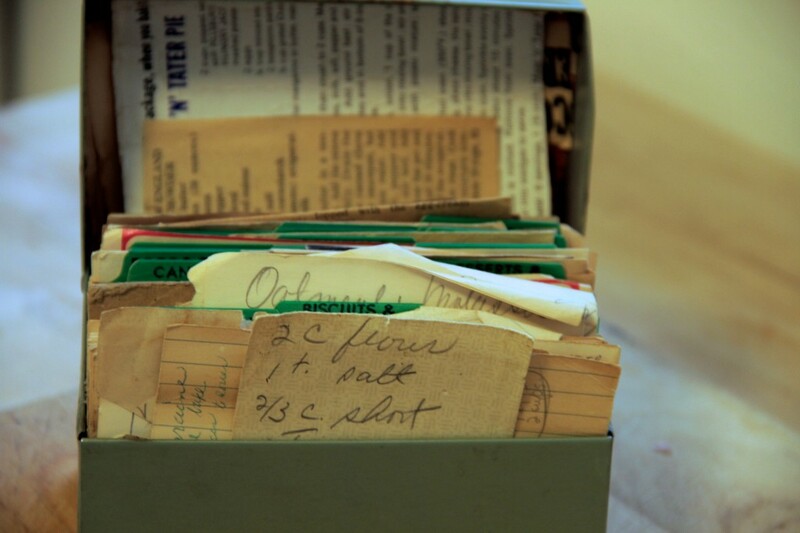 The box was filled with every recipe my mom had collected over the years. I plucked through the cards I couldn’t believe my eyes for, there amongst the browned aged index cards was her recipe. My mom’s not one to throw things away, she saved the original paper that held the recipe but wisely wrote out the recipe on a “newer” index card. My heart sang as I jumped for joy! My quest was over. There it was in all its glory the vacata recipe…but wait it’s spelled vicata. What? My mom has until this day called the cookies vacata, but when I looked at the card, both old and new she wrote vicata. Something in my brain said that these cookies had another name. And just like that another mystery had to be solved. 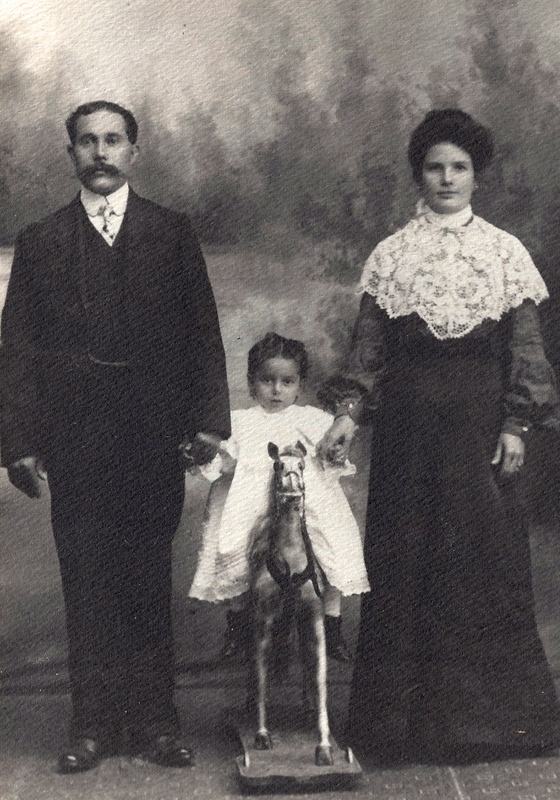 My mom’s grand parents came from Sicily and Naples in the late 1800s. They spoke little English. I’m pretty sure that my mom’s father could speak and understand Italian. But my mom wasn’t taught Italian and only knew a few words: Mangia (eat), Statazit (shut up) and maybe a few more. But when I looked up statazit it turned out to be stai zitto. So maybe ‘vicata’ was what my mom ‘heard’ but might actually be another word. A new search began, this time on the internet. I looked up ‘vicata’. Nothing but last names. I looked up Sicilian Christmas cookies and only came up with recipes for fig cookies. 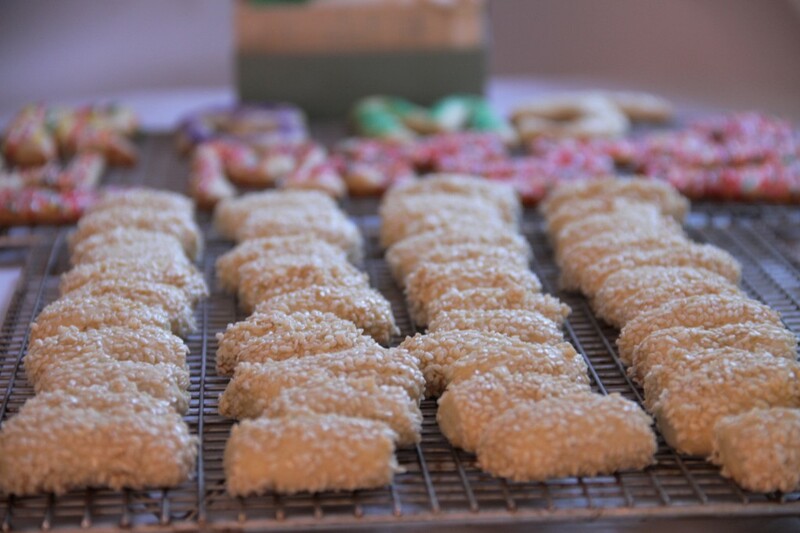 Undeterred, I searched the one ingredient that made the cookies stand out—sesame seeds. And somewhere round page three of my Google search I found this site Ciao Italia. And in the last line of the paragraph explaining the history of the cookie my new search was completed. Somewhere along the line “biscotta” morphed into ‘vicata’ and then ‘vacata’ which simply means cookies. A sugar cookie by any name is still a sugar cookie. Enjoy this recipe. I have all my life. Add dry ingredients into a food processor and pulse until mixed. Add butter to processor and pulse until the mixture looks like coarse corn meal. In a separate bowl beat eggs and vanilla until mixed. Turn processor on and add eggs. Mix just until blended. Remove the dough from processor and knead until flour is incorporated. Don't over work dough. Roll to your favorite shape, coat with egg wash and sprinkle with colored sugar or sesame seeds. Bake in 350 oven for about 12-15 minutes. You are a beautiful writer Judy! 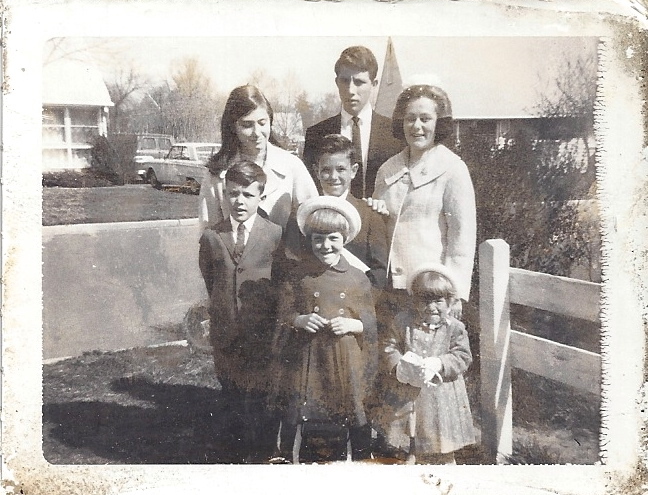 I love how you are preserving our family’s history. Judy, that’s a lovely story. These cookies look just like the ones many friends made when I grew up in Philadelphia. I will give your mom’s recipe a try! This historical journey of a cookie recipe captivated my heart. I have my Grandmothers recipe box and it looks just like your photo. Many gems from my childhood are stored in there as is yours. Thank you for sharing such a great recipe & memory with us. It is so nice to keep the family tradition, I have been making my moms cookies for years. I used to help her bake. Than started baking for myself. Now I bake for everyone. PS That “scrap” of a recipe is priceless. What a nice story. Ciao Italia (Mary Esposito) is a wonderful resource. Loved these — great story, too! I love culinary history and I love this story. You tell it beautifully in person and in writing. So glad I got to taste these. Particularly loved the vacata rolled in sesame seeds. Thanks for sharing. Leslie, thanks so much for stopping by. So glad you liked the story. To me it’s better than the cookies. Have a great holiday. Judy, sweet story and great detective work. My mom makes the same cookies using a very similar recipe. She learned how to make them at Christmas time in 1953 (when she was pregnant with me) from a family friend named Mrs Russo, who was about 70 years old and from Sicily of course. Mrs Russo’s recipe called for about 5 lbs of flour, measured with a generic oversized ceramic coffee cup. The rest of the ingredients followed in proportion, measured with the same coffee cup. After Mrs Russo showed my mom how to make the cookies, she gave my mother the coffee cup so she would be able to measure accurately when she made them at home. To this day every Christmas my mom makes those cookies,which we still call Mrs Russo’s biscotti, using the very same coffee cup. The coffee cup occupies a sacred place in my mother’s breakfront among her silver and fine china. Marie thanks so much. Food is about the stories that are attached. I think that’s why I love cooking and baking. These actually are called Viscotta or some Sicilians refer to them as Viscotti. I am a first generation American and my father’s family is from Palermo. My Nonna and he used to make them every Christmas. Your mother was correct. Below is a link to the Viscotta spelling. Thanks so much for this information. I looked all over to find their origin. Have a wonderful Christmas. Thank you for the recipe..my mom made these when I was young and it was always a part of our family christmas.That recipe was passed down from our grandma whom was from palermo sicily.when my mom passed the recipe went who knows where. Jeanne thanks for stopping by my site. I think the best food is filled with memories.